Have you ever spent time on hold with an airline, a credit card company, or your insurance provider? Of course you have, I bet you’re still humming the tune from that hold music you had to listen to. For years, the frustration of traditional customer service, be it phone or email, have pushed us all over the edge at one point or another. And for what? The reality is most people have simple questions they want to ask a customer service representative and they just want a simple answer. Now. Not in 35 minutes while they listen to Justin Timberlake on loop. Enter the era of messaging. There’s been a profound increase in messaging in the last couple of years. Once primarily used as a way for people to chat with each other, messaging has now become a preferred way for people to communicate with businesses and get things done. According to a Facebook-commissioned study by Nielsen, 56% of people surveyed would rather message a business than call customer service, and 67% expect to message businesses even more over the next two years. And while calling still plays a prominent role in customer service, this has opened the door for brands and businesses to communicate with their customers in a variety of new ways, be it one-to-one messaging or bots. Web chat is not a new thing in customer care, but it has had some trouble taking off. This is largely due to the fact that it has historically been clunky and disconnected. For starters, when a customer has picked up the phone and called a business, there’s no real way to transition them to chat…and they’ve just wasted 35 minutes on hold. Also, most chat is done before the call happens, when the customer is on a web page and the “wanna chat?” icon pops up for live chat. Unfortunately, this experience lacks context – the customer has to identify themselves, give an account number, and if they leave the web page they have to restart from scratch. With messaging, a waiting customer can be offered the opportunity to pursue the conversation on services like Messenger, preserving the context of the call. And while the customer might need to present basic account information at the start of an interaction, once a thread is started the conversation between the customer and the business persists over time; the customer has an existing log of the conversation and can be updated on the resolution of the issue when appropriate. The customer can also simply reach out to the business for an update within the same thread. Another problem with live web chat is how slow and unresponsive it often is, particularly during peak hours when people are often managing dozens of conversations at a time. 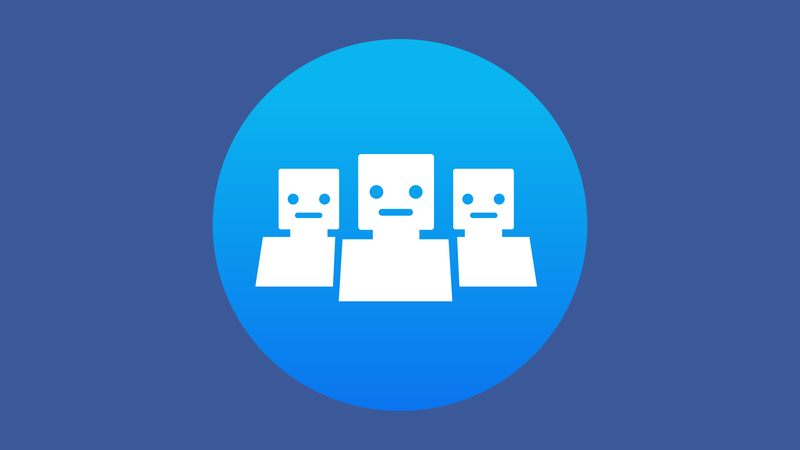 But we find that on Messenger, businesses can increase their responsiveness with a bot. Bots use Artificial Intelligence to simulate human conversation and provide answers to questions ranging from the very simple to the increasingly more complex. Bots don’t necessarily replace 100% of all human-based support; think of them more like a way to deal with frequently asked questions in the fastest most efficient way, keeping human time for more high-touch queries. 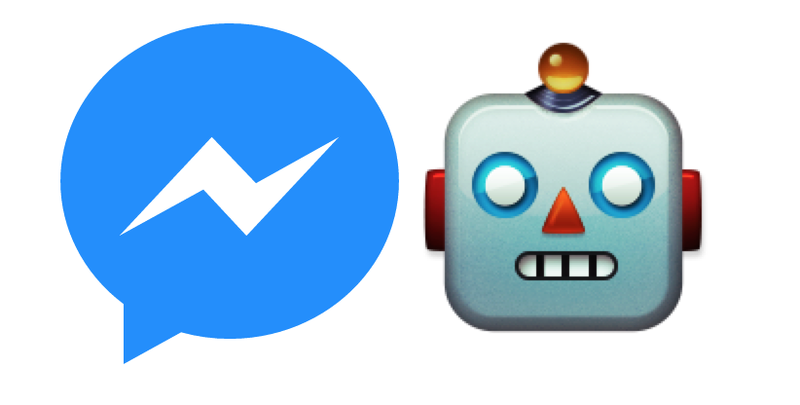 Bots operate on multiple platforms including Messenger, and their development has exploded in the last year for a multitude of wide ranging services (there are more than 100,000 active bots available today on Messenger). Bots are transforming customer service. They can now help businesses big and small with reliable and instant customer service capabilities that drive customer engagement, keep the customer in control, and save both parties time and money. And beyond customer service, this channel provides a huge opportunity for businesses to deliver ongoing customer care, engender goodwill and engage with their customers in new and creative ways. Eighty percent of inquiries made via Facebook Pages are questions about products or services, signifying strong purchasing intent. This means that businesses are being connected with a pre-qualified, high value group of customers, making handling this interaction in a seamless and responsive way even more critical. Integration of messaging with social media is also extremely important. When a customer likes an article or a product on social media this a powerful signal and a business’s messaging strategy should include this context. By connecting customers’ social persona with messaging, businesses are able to use a combination of automation and one-to-one messaging to deliver experiences that are highly personalized at scale, be it to intercept and troubleshoot a customer dispute via private message, or retarget users based on their interests with a custom offer. Business messaging is becoming the new norm, with more than 20 million of the 70 million Pages on Facebook using Messenger to connect with people. Every new major competitor entering the arena further accelerates this transition (even if they only run on iOS and are disconnected from social media). According to a recent survey by LivePerson, 89% of global consumers rate their overall perception of bots as “positive” or neutral, and prefer chatting with customer service bots for simple tasks. This is a win for businesses and customers. For businesses, the adoption of customer service bots solves a multitude of problems. For the very large companies it eases the strain on already clogged live-agent customer service centers, diverting more easily answered questions to the bot and allowing their agents to focus on more complex inquiries, or upsell opportunities. For smaller businesses, bots put the power of AI to work for them and gives them professional and personalized customer service capabilities they might not otherwise be able to afford. And in both cases, they can also leverage messaging for revenue generation purposes, instead of thinking of customer care as a pure cost center.